The night started off with a crazy-rockin song and our 5 minute countdown timer. As soon as our countdown hit 0:00, a video immediately started up. The video was the new iPod touch video with our own song behind it, and the end of the video was our “iGrab” announcement slide (pic in previous blog). iGrab is our brand-spakin new contest for our students to bring as many people to our church’s revival called Harvestfest. Everyone who comes on our “student night” during Harvestfest will get to enter their name into the drawing. And for every friend they bring, they can enter their name into the drawing that many more times. The winner of student night will receive an 8GB iPod touch. I don’t usually like prizes and contests like this, but I want to build as much excitement as possible into our students to bring their friends to hear the gospel of Christ. We then went through some other announcements on our upcoming annual ski trip, etc. Then the praise band led us in 3 intensely passionate worship songs: Salvation Is Here, Mighty To Save, and Blessed Assurance. I still like keeping at lease one hymn in the mix just so we don’t forget where we’ve come from. After the worship, I stood up and preaching on Numbers 15 – 20 which is all about REBELLION. 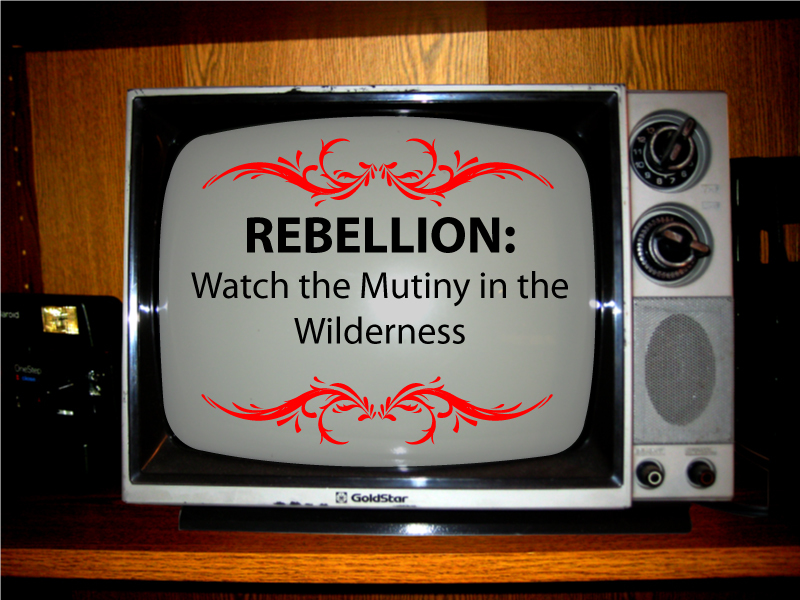 It was a sermon that started off with a student in one of my past ministries who was very rebellious toward me, moved to the rebellion of the Israelites against Moses and Aaron (and ultimately God), then it pointed to Christ who died for our rebellious sin against Him, and how now we need to LIVE AS REBELS against sin (not against Him). We then prayed for who we were going to invite to come to Harvestfest, begged God to show us who to bring, and asked God that He might save them. The music cranked back up, and we sang “Mighty To Save” one more time to worship God for what He had taught us. To cap off the night, we then showed a really sweet video by a theologically reformed Christian rapper “Lecrae.” This dude is tight. He wrote a great song about being a rebel against the culture, against the world, and against wickedness. He had Pastor Mark Driscoll quotes in his rap about we think that rebellion today is sinfulness. But if everyone is sinning, then it’s no longer rebellious to sin. Driscoll says that if we really want to be a rebel, then we need to read our Bibles and live for Christ…because no one else is doing that. That’s how to be a real rebel today. I also got to preach this message to a local high school in town for their First Priority meeting. All in all, I’d say it was a pretty rebellious 12 hours against the Devil!